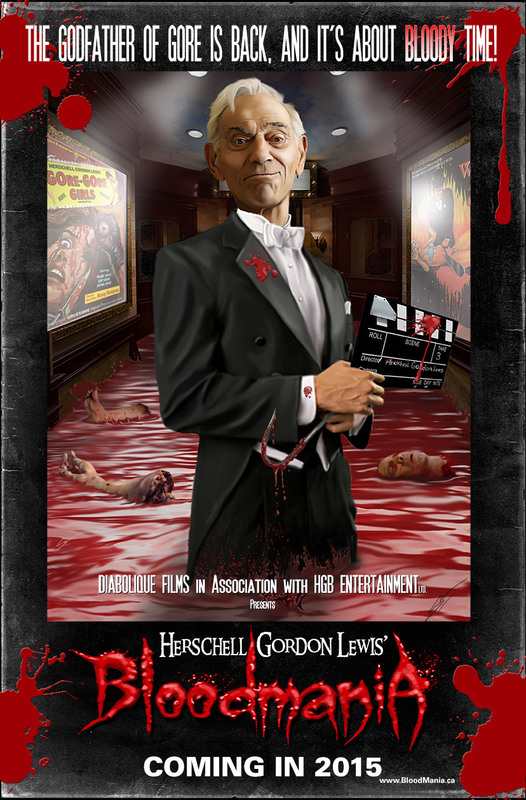 Herschell Gordon Lewis’ BloodMania is a horror anthology consisting of four distinct tales of terror, each introduced by “The Godfather of Gore” himself – Herschell Gordon Lewis. To quote Mr. Lewis, “It (BloodMania) is a perfect combination of satirical comedy and horror”. 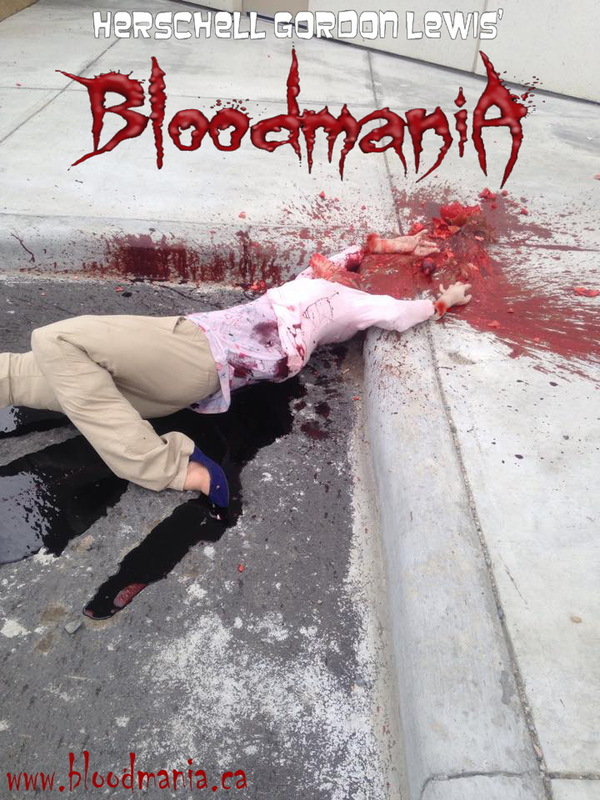 BloodMania was filmed entirely in Calgary from July through December 2014. 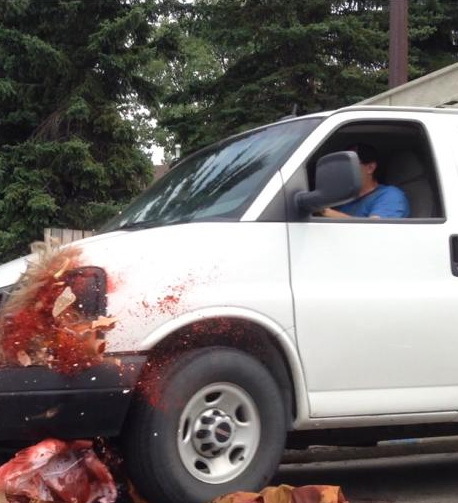 We are proud to say that 98% of the cast and crew were from the City of Calgary. 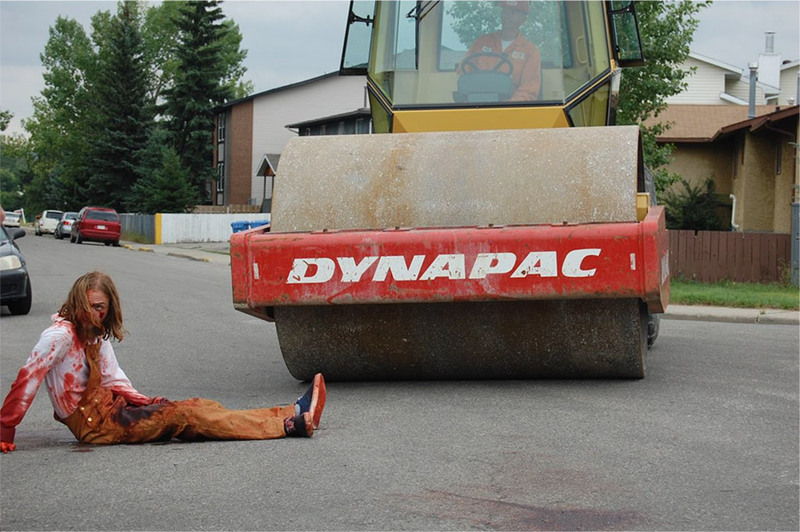 Roger LeBlanc – “Hell on Wheels”, “Fargo”. Jewelle Colwell – Creator and Star of television’s “Bluff”. Julian Black Antelope – “Penny Dreadful”, “Hell on Wheels”, “Blackstone”. Donovan Cerminara – “Fringe”, “SGU Stargate Universe”. Mr. Lewis himself directs two segments, while the other two are directed by emerging local talents Kevin Littlelight and Melanie Reinboldt. For Special FX Make-Up we naturally chose Dave Trainor whose effects have been seen in “Blade 2”, “Tucker and Dale Vs. Evil”, and AMC’s “Hell on Wheels”. Dave was recently nominated for the Los Angeles Guild of Make-up’s Prosthetics Award for his ongoing work on FX Network’s “Fargo”. Mr. Lewis and Mr. Saito have been appearing on numerous international podcasts to promote the film, and the first press release in regards to the film was translated into 8 different languages within its first 24 hours. Such is this motion picture’s appeal to Herschell’s many fans worldwide. Brewster Bricabrac is having a very bad day. He has botched a hostage taking, is on the run from the law, and worst of all is possessed by a demonic prosthetic hook he wears because…well you’ll just have to watch to find out why. This screenplay was written and directed by Herschell Gordon Lewis, and contains the wit, violence, and satire that his legions of fans have come to associate with his work. Starring: Roger LeBlanc, Karen Jenkins, and Sarah Troyer. In this tale of suburban horror, a family moves into a new home never suspecting that they will be sharing it with something that simply shouldn’t be…….. Starring: Caroline Buzanko, JP Thibodeau, Sarah-Joy Goode, Eric Pettifor, Gayl Veinotte, and introducing Emeri and Erica Culkulin. When used deceptively the words, “I love you” can kill a person, as Julie Cook discovers in this terse tale of psychological horror that will keep the viewer guessing until the very last frame. What Julie discovers about fidelity and revenge will haunt her for the rest of her days…. 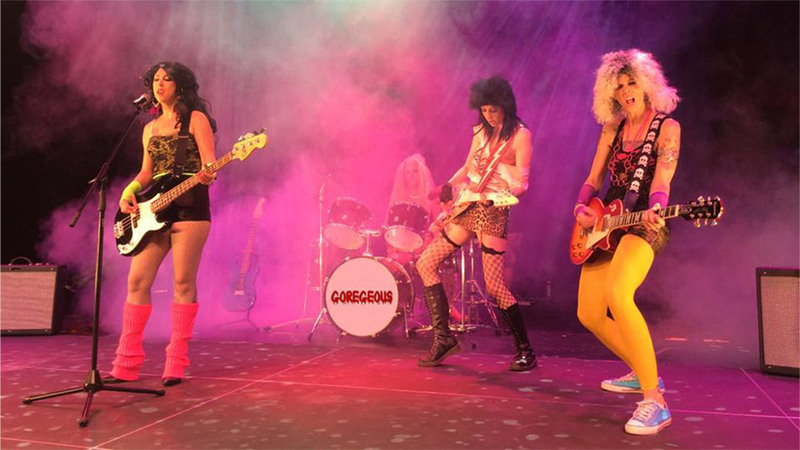 An all-female 80s tribute band shooting their first big music video get more than they bargained for after they decide to fire their longtime Manager, Gordo. They soon find that Gordo harbors a secret past of his own in this insanely hilarious and bloody homage to the slasher films of the 1980s. Starring: Stuart Bentley, Jewelle Colwell, Saleste Mele, Sarah-Joy Goode, Jessi Durant-Chayer, and Katherine Erin Godden. Over the years, an unusual reality came into place: Herschell’s old films continued to play not just on TV screens but in theatres, years after conventional movies would have disappeared altogether. The result has been renewal of his life as a film director. 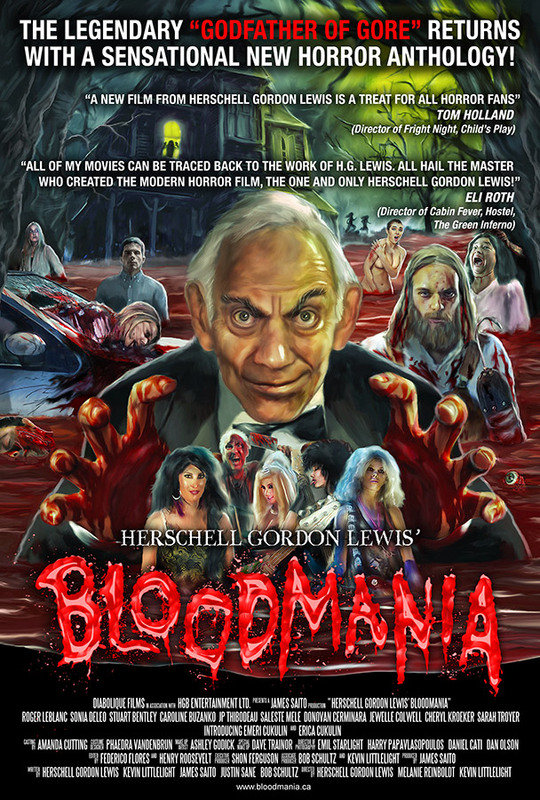 Thus it is that a new Herschell Gordon Lewis movie is hovering into view: “Herschell Gordon Lewis’s BloodMania,” produced by James Saito in Calgary, Alberta, Canada. 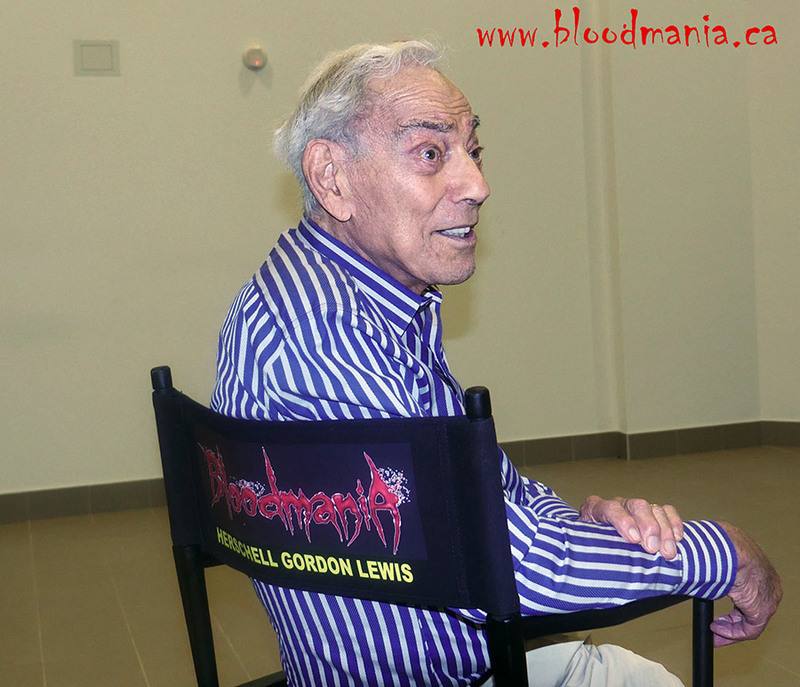 Both the producer and the director encapsulate their opinion of “Herschell Gordon Lewis’s BloodMania” in a single word: Enthusiastic. 1972 The Year of the Yahoo!